Just like Mahindra, the American car maker Chevrolet as laid down a hectic launch schedule this year. 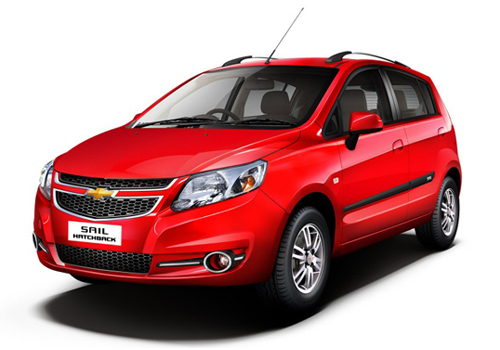 Its Chevrolet Sail UVA is about to be launched and the MPV Chevrolet Enjoy is round the corner. Now there is another report coming that has confirmed that Chevrolet will also be launching the Electric version of the Chinese car Sail. 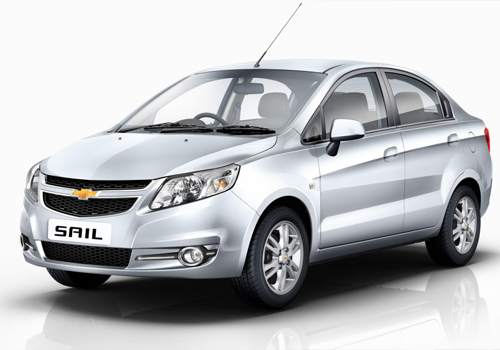 A test mule of the Chevrolet Sail Electric has been spotted in China and it suggests that how aggressive the car maker is about the Sail brand. Meanwhile, the car maker has almost made all the preparations for the launch of the hatchback Sail UVA and it seems that the car will rock the segment following its low price and improved features than the Chevrolet Aveo UVA. As per the information, the car maker has slated the sedan and the hatchback version of the Sail for India. It is expected that the Sail sisters are going to rock just as the Maruti Swift and Maruti Swift Dzire are doing in India. The two cars are also expected to be at advantage during the festive season as Swift and Dzire supply is a big question and people prefer to take the car deliveries during this time and not book and wait for another Diwali before the car is delivered. Thus, cars other than Swift such as Ford Figo, Skoda Fabia, Chevrolet Beat Diesel and Sail UVA will be at advantage and their respective car makers will do everything to cash on the misery of the Swift hatchback. The Electric version of the Sail is a far cry and its launch could be in danger as India still lacks the craze for EVs. As per the information, the Sail car will be promising performance similar to any petrol or diesel car and that too at just a fraction of the running cost. As per sources information, the top speed of the Sail electric car will be 130 kmpl and it will be able to run 150 km in full a full charge. Initially the price estimation of the car could be between Rs 10 lakh to Rs 11 lakh and sensing the green initiative by the government things could be in favour of EVs in India in the next one year. New Chevrolet Sail EV is expected to begin in September this year.